The second stop of the World Poker Tour Season 17 schedule sees them return to Choctaw Casino & Resort. With the successful season-opening WPT Gardens Poker Festival in their rearview mirror, the World Poker Tour rolls into Oklahoma for WPT Choctaw. Taking place from August 3-7 at the Choctaw Casino & Resort, it’s the fourth year in a row that the WPT has traveled to the Sooner State as a part of their main tour. The 5-day Main Event is a $3500 + $200 buy-in, the same as it has been in years past. This year, it comes with a $1 million guaranteed prize pool, which happens to be the lowest guarantee on the Main Tour. But take note, unless something goes drastically wrong, that guarantee is merely a marketing tool. In the three previous years, WPT Choctaw has never had a prize pool less than $3 million. Every player to make ever make a WPT Choctaw six-handed final table have earned themselves a six-figure payday. Even though attendance for this event has been drifting slightly lower year-over-year, with 2017’s field dropping below 1,000 runners for the first time since they started holding it, they are still very likely to see a multi-million dollar prize pool. To get a piece of that prize pool players can choose from two starting flights. The first flight kicks off at 12:00 pm CT on Friday, August 3 and the second the next day at the same time. This tournament is unlimited re-entry and players can play both flights and fire away as many times as they need to. The catch is, this is not a best stack forward tournament so participants that bag at the end go Day 1A but would rather take a shot the next day would need to forfeit their stack. 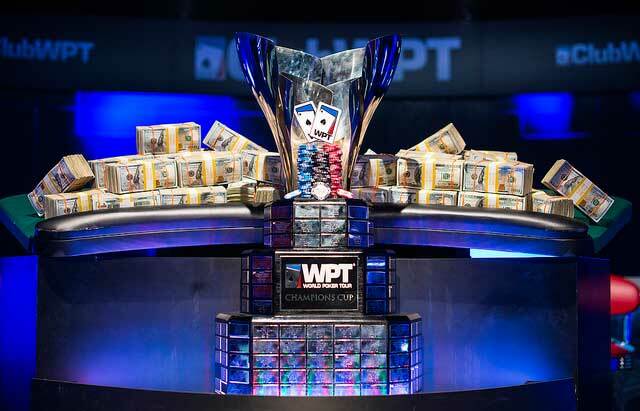 As players have come to expect from the WPT, the structure is deep. Players start with 40,000 in chips (400bb) and 60-minute levels. While the buy-in and structure may be familiar to those who have played in the past there are a couple new wrinkles to enhance the Oklahoman experience. The wildly popular big blind ante format is in play. The big blind pays the antes for the entire table, helping speed up the rate of play and taking a little bit of the burden off the dealer. Additionally, once the tournament is one table out of the money a 30-second shot clock will be adopted. Players have 30 seconds to act on their hand, with four “time extension” chips that can be used for those tough spots. Once a player is out of time extension chips and the clock runs out, if the player has not declared an action they will be forced to check their hand, or, if facing a bet, fold. Choctaw has been an early-season stop on the WPT since Season 14. In its first year, 1,175 runners helped create a prize pool of nearly $4 million. Jason Brin won it all and walked with $682,975 for a career-high cash. Brin’s final table featured some of poker’s top talent including Andy Hwang, WPT Garden’s runner-up Jake Schindler, WSOP 2018 Final Tablist Alex Lynskey and 4-time WPT Champion Darren Elias. In Season 15, poker pro James Mackey took the Choctaw title for his first WPT victory. The $666,758 was second largest payday of his esteemed career helping him to $4.1 million in lifetime earnings. Then, just last year, it was the recreational player from Austin, Texas Jay Lee who won $593,173 for just his third career recorded cash. For those looking to take a shot at getting into the Main Event for the minimum, Choctaw offers plenty of opportunities to satellite into the Championship Event. Beginning on July 28, there are $100 Super Satellites into any of the $300 tournaments. Then on starting on Tuesday, July 31 the casino offers as many as 15 opportunities for players to win a seat into the $3500 + $200 Main Event. Most are of the Mega Sattliest are of the $300 variety, with a few $500 Megas to ensure that as many qualifiers as possible can grab a seat in the field. WPT Choctaw Main Event gets underway on August 3 with daily live updates provided by the World Poker Tour.